Here is how to make a terrific appetizer of Hot and Tasty Onion Rings. These are served with Betty's Surfin' Seafood Cocktail Sauce or ketchup. In a large mixing bowl, combine 1 cup self-rising flour, 1 well-beaten egg, 1 cup milk, and 1/4 cup vegetable oil. Stir completely, or blend with an electric mixer. Have your raw onion rings prepared for cooking. Heat 2 inches of oil in an electric deep fryer or a pot on the stove to somewhere between 345 degrees and 375 degrees. With tongs, dip onion rings in batter, allowing excess batter to drip into bowl, and then transfer to hot oil. You may fry several onion rings at the same time. Fry until golden brown on both sides, and then remove with tongs or other utensil and place on paper toweling to drain. 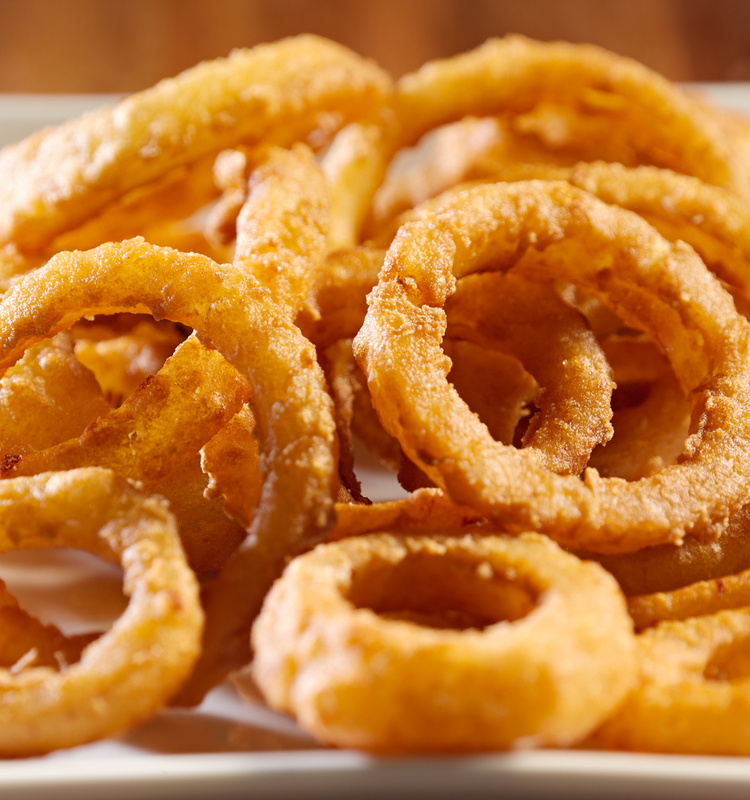 When all onion rings are fried and removed, pat the upper side to remove any further excess oil. Now, place the Onion Rings on a nice serving dish, and serve with Surfin' Seafood Cocktail Sauce.